VH Speed Skating is having one last MEGA SALE! No Volume Orders are Required. Please share with your members and if you have any questions please let us know . 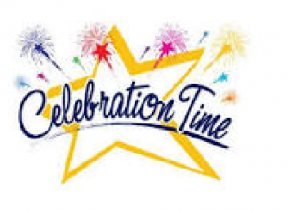 Year End Celebration and AGM – Sunday May 15th! Friends & Family are welcome to join the celebration! Any outstanding club speed skates may be returned at MERC Hall on May 15th. Pre-registrations for next season, $100/skater, will also be accepted at the Year-End Celebration. More info to follow regarding AGM & an exciting Speed Skating Technical Seminar that SLSSC is hosting for its members on September 17&18, 2016 to kick off next season. Year End Party! Still in the works! Planning is underway – year end party is coming!!!! Food, awards, pin awards, fun and games, and an AGM. What more could we want! Mountain Bike event! Skaters rock their bikes! Calling all speed skaters – take note of this fun event coming up in our community. A number of our speed skating families will be there, including the organizers! Welcome to the 12th annual Eastern Ontario School Mountain Bike Challenge! This year’s event is on Friday May 20th. This event is to celebrate biking as a fun and healthy activity that can last a lifetime. Why should someone attend this particular event? It is perfect for your first mountain biking experience. If you have been to the event before you know it has a fun format, a fun course and a laid back approach that everyone can enjoy. The event is structured with different races but it never feels competitive or unfriendly. We’re all here to have fun on bikes! This is not an EOSSAA event so you can attend if your school does not officially participate. See the attachment about how to bring a student to the event. Any working big tire bike and a helmet (and signed entry forms and fee) are all that is required to do this event – no fancy stuff required. We even had a unicycle compete one year! The event start times are designed to separate riders before they get to the trails so that riders can negotiate the course at their own pace. The course itself is designed to be safe and fun. Check out this video that a parent made of the 2015 event. School Mountain Biking is growing all over North America. There are events in Quebec, Ontario, BC and all over the United States. The sport is in the Olympics and it is here to stay.